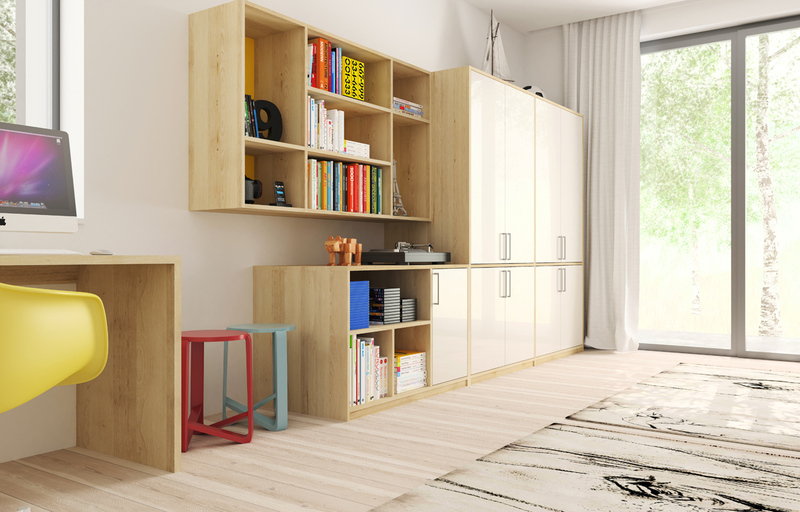 HARMONY storage system enables to make children and student rooms according to individual and specific requirements. which makes the whole system playful and open to various options. and home offices with desks and wardrobes in various materials and colours. Everything is made of materials not detrimental to health.